Riding whip from Peru, made of rawhide. 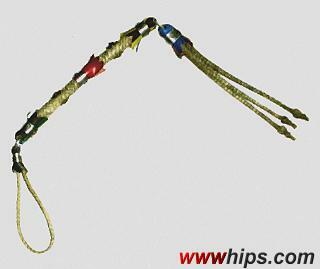 Three 4plait tails are attached to a rawhide plaited handle, decorated with coloured plastic, zinc collars, some coins and artificial leather. Souvenir item.